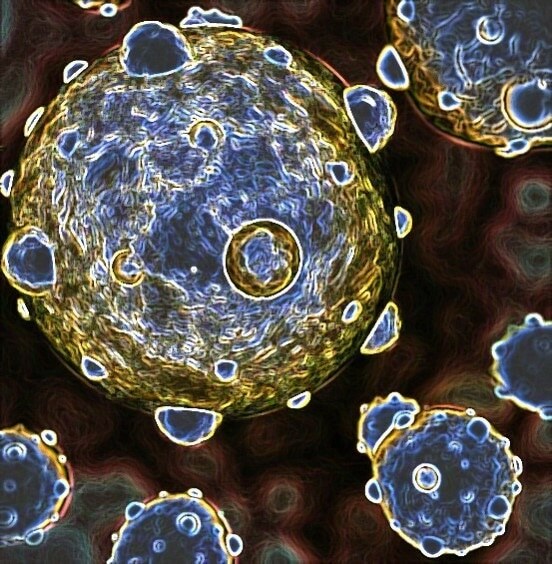 Exosomes: Are They All Alike and Why Does it Matter? In this interview, Haiying Zhang, Assistant Professor of Cell and Development Biology from the Department of Pediatrics at Weill Cornell Medicine talks to News – Medical about the importance of Exosomes. What are exosomes and why is it important to understand differences between them? Exosomes are nanosized extracellular membrane vesicles of endosomal origin secreted by most cell types if not all, including cancer cells. These membrane vesicles carry an array of biologically functional macromolecules, including proteins, genetic material (e.g., mRNAs, miRNAs, lnRNAs, DNA), metabolites and lipids, which are selectively recruited and packaged into exosomes. Exosomes can horizontally transfer their cargo to recipient cells, thereby acting as vehicles of intercellular communication in both physiological and pathological conditions. It is evident that the differences in size, surface molecules and chemistry, and mechanical properties among exosome subpopulations all collectively contribute to their biodistribution and systemic functions in vivo. More advanced characterization of molecular signatures associated with each subset of exosomes will clearly facilitate the identification of potential diagnostic/prognostic biomarkers for cancer progression and other pathogeneses. Such knowledge will also provide rationales for developing exosome-based therapeutic means in clinical trials. What are the challenges associated with differentiating exosomes? 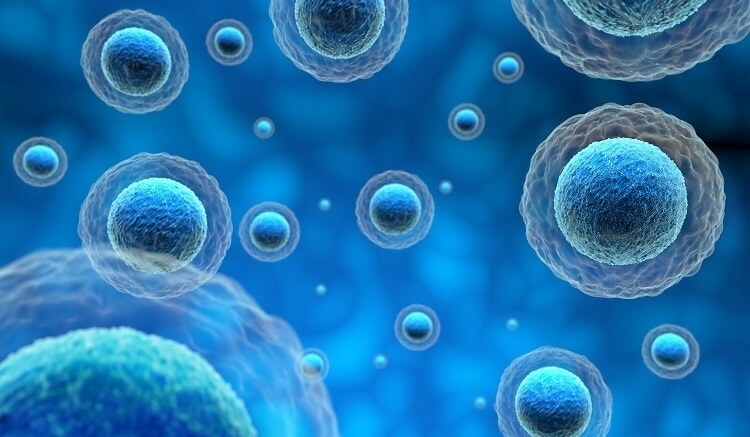 Cells secret a variety of nanoparticles/microparticles with different sizes. However, traditional means cannot separate exosomes from other populations of particles efficiently due to technical challenges. Therefore, the isolated exosomes constitute a heterogeneous population and this has hindered our understanding of their biogenesis, molecular composition, biodistribution and functions in vivo, and further translational applications. Please outline the analytical method used in your recent research, to isolate and identify extracellular vesicles. To identify and isolate different small extracellular vesicles/nanoparticles, we employed the asymmetric-flow field-flow fractionation (AF4) analytic method in conjugation with online detection of static and dynamic light scattering and UV absorbance, and an array of different downstream, offline analyses for biophysical properties (such as transmission electron microscopy, atomic force microscopy, zeta potential, and stiffness) and molecular composition characterization (such as proteomic mass spectrometry (MS), lipidomic MS, N-glycomic MS, and genetic material profiling). What are the unique features of FFF -DLS that allowed you to separate the particles and group the exosomes? The AF4 exhibits unique capability to separate nanoparticles and has been widely utilized to characterize nanoparticles and polymers in pharmaceutics and various biological macromolecules, protein complexes and viruses. The dynamic range of AF4 separation allowed us not just to separate distinct exosome subsets but also to identify a novel nanoparticle population which we termed “exomeres”. The online DLS measurement provides the real-time hydrodynamic size measurement of fractionated nanoparticles. This allows us to recognize different nanoparticle subpopulations in a given sample and guides the grouping of fractions based on this information. How are the 3 exosomal groups that you identified distinguished from each other? By employing AF4, we have identified two distinct exosome subpopulations (large exosome vesicles, Exo-L, 90-120 nm in diameter; small exosome vesicles, Exo-S, 60-80 nm in diameter) and have discovered a novel, non-membranous nanovesicle population termed “exomeres” (<50 nm with an average of 35 nm in diameter). These nanoparticles are remarkably distinct in their biophysical properties such as morphology, size, zeta potential, and stiffness. They each contain unique proteins that are related to specific pathways, such as glycolysis and mTOR signaling for exomeres, endosomal function and secretion pathways for Exo-S, and mitotic spindle and IL-2/STAT5 signaling pathways for Exo-L. Specifically, Exomere proteomic profiling revealed an enrichment in metabolic enzymes and hypoxia, microtubule and coagulation proteins. Furthermore, each particle subset contained a distinct N-glycosylation profile and lipid composition, and showed cell type-dependent genetic diversity in DNA and RNA prevalence. Importantly, these nanoparticles demonstrated distinct organ biodistribution patterns in animal models, suggesting their functional differences in vivo. Focussing on Exomeres, how did FFF-DLS excel in your research compared to traditional means used to isolate exosomes? Traditional methods such as differential ultracentrifugation usually cannot separate exomeres from exosomes efficiently. In contrast, FFF-DLS can not only result in the separation of exomeres from the other subsets of exosomes, but also provide the real-time measurement of the hydrodynamic size of fractionated nanoparticles, facilitating the identification/characterization and downstream fraction collection and analysis of the fractioned samples. Please outline the Wyatt Technology instrumentation that helped you with your research. Why did you choose these products? 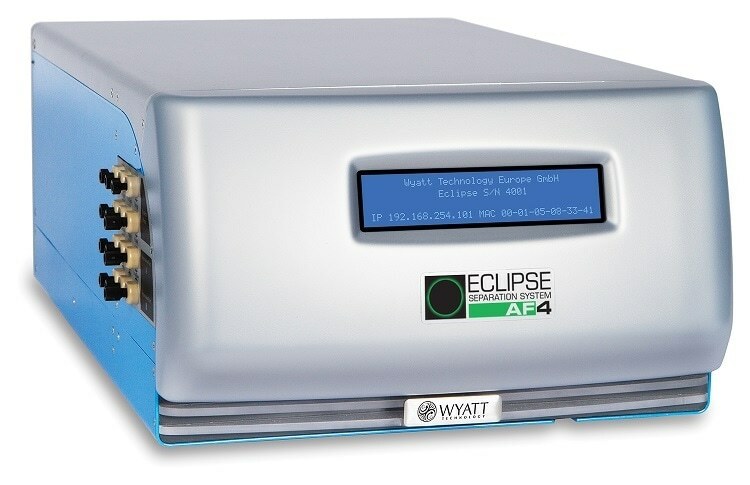 The Wyatt instruments we have include 1) the short AF4 channel, the central piece within which the nanoparticles are separated; 2) The ECLIPSE AF4, which controls the flow of AF4; 3) The Dawn Heleos II equipped with QELS at 100° position, which are online multi-angle light scattering (MALS) and dynamic light scattering (DLS) monitors, respectively. What are the benefits of combining FFF and DLS as seen in these products? The separation of nanoparticles into mono-disperse populations by FFF enables the accurate measurement of the hydrodynamic size of fractionated nanoparticles by DLS monitors. Such online measurement of the nanoparticle size allows immediately the identification/characterization of the nanoparticle composition in a given sample. This also facilitates grouping nanoparticle fractions with similar properties for further downstream analysis. What future role do you see for separation and characterization technologies from Wyatt Technology in the field of extracellular vesicles? I would like to see 1) the development of AF4 system suitable for large scale preparation of nanoparticles, and 2) further separation of nanoparticles based on other biophysical/biochemical properties such as charge and specific molecular moieties carried on the surface of the nanoparticles. 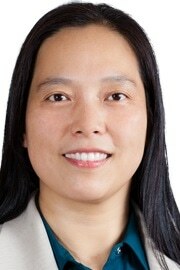 Haiying Zhang is an Assistant Professor of Cell & Developmental Biology, Department of Pediatrics at Weill Cornell Medicine. More Content from Wyatt Technology Corp.
See all content from Wyatt Technology Corp.